On a wet and cold Easter weekend and with a visit planned and paid for, those were not the words I thought I might hear at the end of the day. 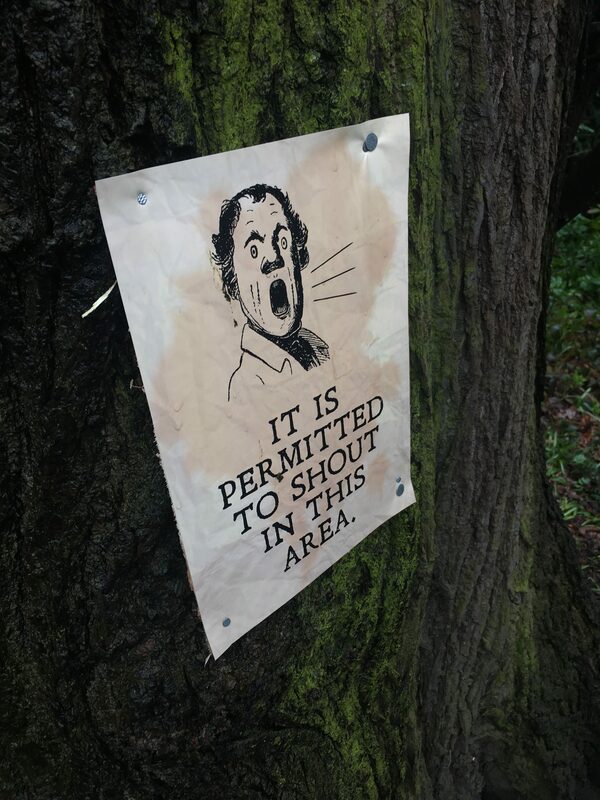 The weather hadn’t got the memo that we would be spending the morning outside in an ancient woodland. 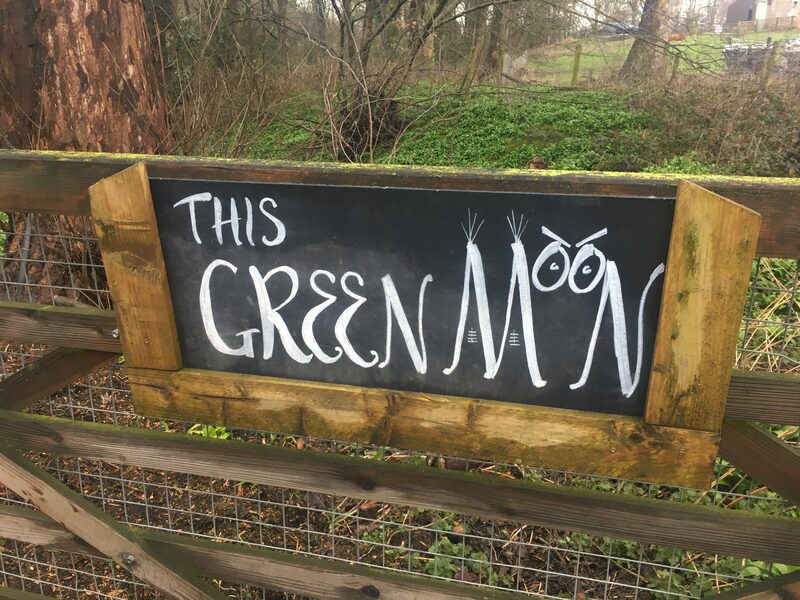 However, off we went to Swillington farm not far from Leeds, for a 24 Carrots event at This Green Moon. A Hip2trek reader had recommended their events and were sure it was our type of thing. We arrived wrapped up and wearing wellies and walking boots and made our way to the check-in. I’m sure we were the umpteenth family to arrive that morning, but the lady we met was full of enthusiasm, really engaging with the kids as she eagerly told them they would become explorers for the morning. Armed with fake moustaches, magnifying glasses and a special explorer notebook we were ready. 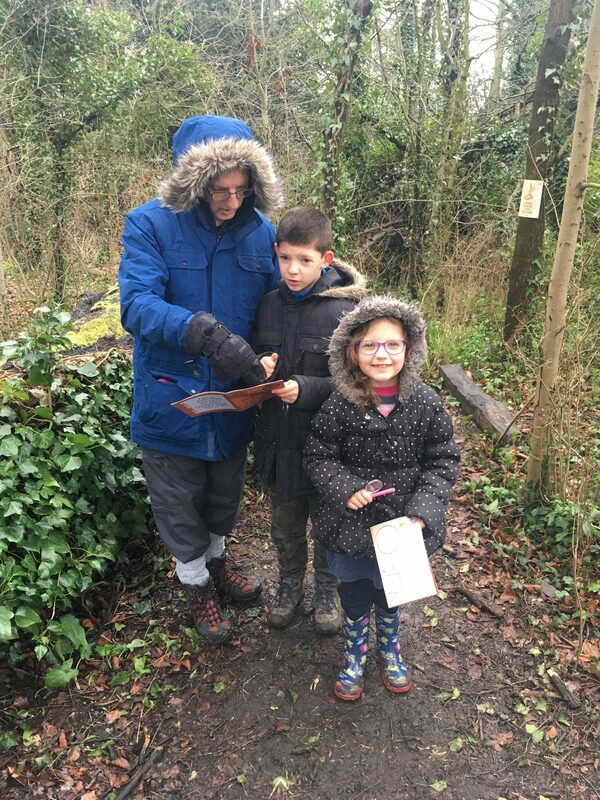 I won’t spoil exactly what we looked for but the explorer notebook and clues around the forest had us looking, counting and drawing different things that we came across. We met a few adult explorers on the way helping us with clues and keeping up the magic and excitement. 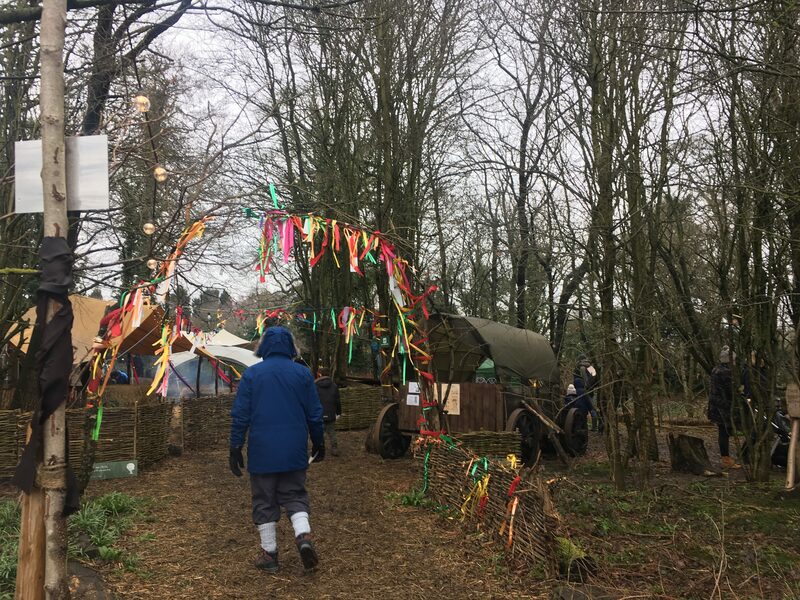 On completing the clues, we went back to a big clearing where there was a campfire, bar and a storytelling tent. The kids were given hot chocolate and the grown-ups could buy drinks from the bar including hot chocolate, beer and prosecco. Well, it’s a holiday so I went for prosecco! 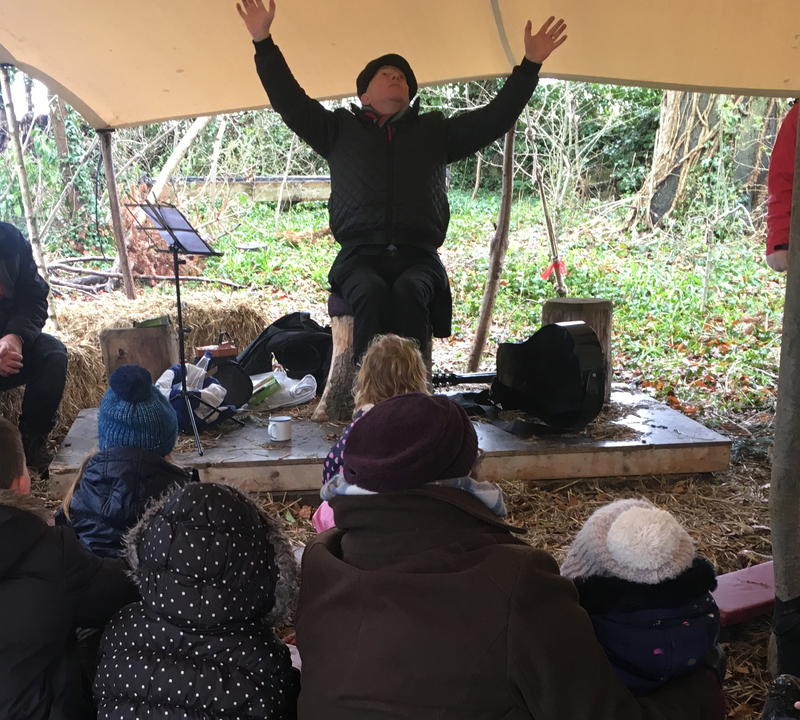 The kids sat on hay bales and listened to Tony, the storyteller, who had them singing songs with actions and then they listened to his story. 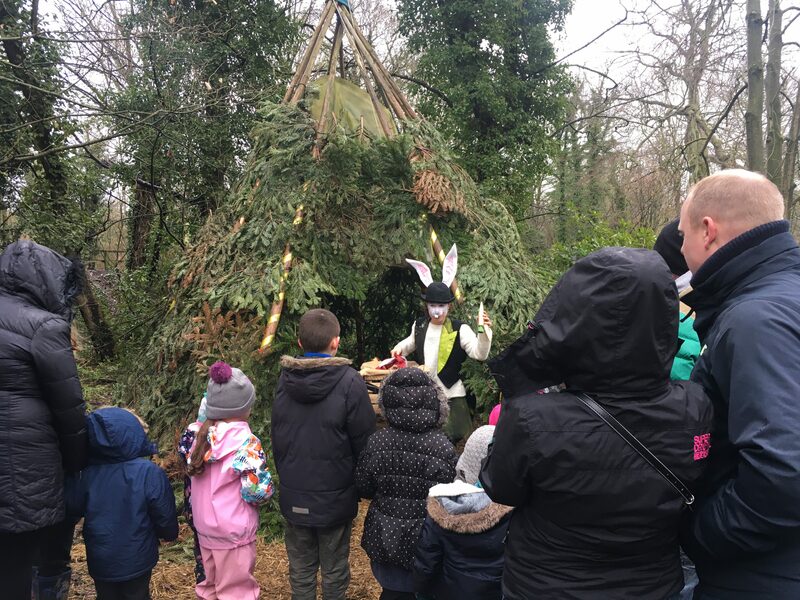 After the story the group of kids were led down a path to another tent to meet the March Hare. After she gave them an Easter gift, which I hope to plant in the garden, it was back to the campfire. With the help of Paul who was looking after the campfire, the kids were given marshmallows to roast. We had spent a couple of hours in the forest and despite the rain and cold had such a good time. Everyone we were met helped keep the magic of the event going and kept it exciting for the kids. 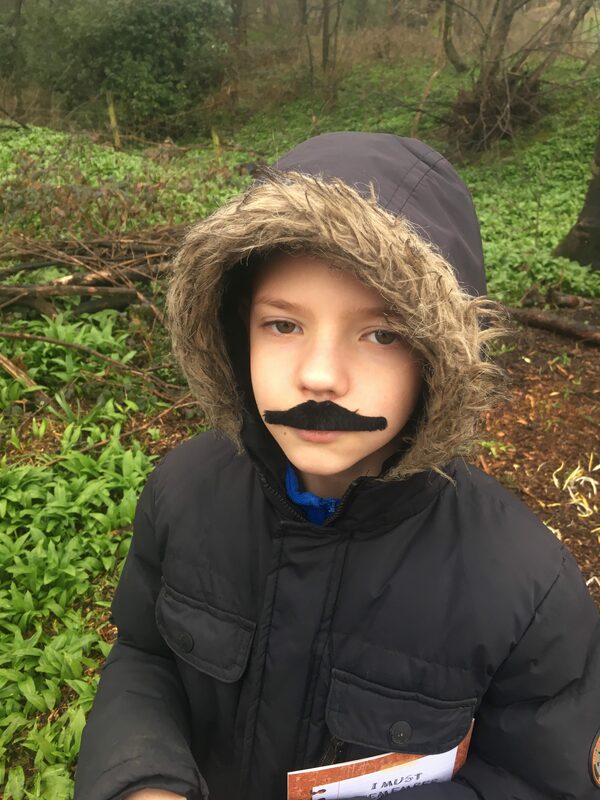 Even my eldest was happy to get involved wearing his moustache. The attention to detail and the people who were part of the event really made it, it was also great value for money. As we walked back to the car those magic words were said that I started this blog post with, the best day ever for my youngest! We paid £25 for a family ticket. All views are honest and my own, I’ve received no incentive to write this. Have you been to an event like this? Let me know in the comments. Agreed. My wife’s been to a number of events with our youngest daughter and their friends. I got an invite too this time and despite the weather and not being particularly fond of outdoor things in things I absolutely loved this place!!! It’s well thought out, well planned, imaginative and something age appropriate for everyone. You can certainly see why this place is becoming very popular with those in the know for outdoor family events. Take a look at their fine and dine events and outdoor cinema events. More than just a single visit required! Oh wow outdoor cinema, I’ll definitely be keeping an eye on their future events. Thanks for the tip. It was a fun event for all ages and we all came out saying we had a good time. I found out about this one through a friend and then saw it by accident on a local facebook event listing. You never know there might be something similar near you! Yes they loved it and even my ten year old was happy to get involved. Thanks for reading! Looks brilliant. And not too far for us either. Will have to look out for future events to take the boy to. It was great fun, I think they have more events coming up so worth keeping an eye on. It was brilliant, I wish more places put such thought into their activities. It was so well thought out and we had a great time. Thanks for reading! Ah, that’s amazing! It definitely had a big impact on your youngest. I must admit you had me at ‘campfire, bar and storytelling tent’. Thanks for joining us on #adventurecalling . It certainly did and goes to show that sometimes the trips you think might not work out, because of weather or whatever, actually end up being really good. Thanks for reading! It was great fun and the kids really got into it. Thanks for reading!